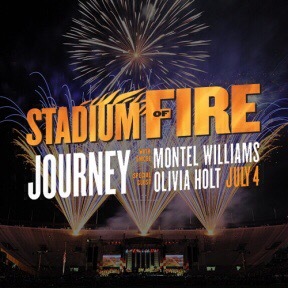 Last summer, I attended the large Provo 4th of July Celebration called Stadium Of Fire. It’s held in BYU’s football stadium. The band Journey was the headliner. I wasn’t really there to see them. The opening act was my friend Caleb Chapman’s Crescent Super Band. I wasn’t there to see them either. As part of the celebration, my daughter joined a group of over 100 dancers who were part of the show. I was there to see her. The funny thing is, I didn’t. She lives several miles away in Payson. We arrived separately. I anxiously scanned the field for her during the dance number, but my seat was high in the North endzone of the stadium. The dancers were little more than dots against a green field. My daughter was one of the few black girls dancing. I spotted what I thought was her only to later find out that I was looking at the wrong part of the field. Did I get to see my daughter dance in front of 40,000 people? Does it matter that I couldn’t actually see her? Last Friday night, I was back on BYU campus. This time I was in the basketball arena. I was there to see two other of my children perform in front of thousands of people. Would it matter if I couldn’t see them? I was working for Microsoft corporation during some of their biggest events. I remember the day Windows 95 released. It was pretty much like a huge worldwide movie premier. We look back and laugh at any software that is even a few years old, let alone 20 years. But, the version of Windows you are using right now to read this blog owes it’s look and feel to Windows 95. (Which stole it’s look and feel from Apple, which stole it’s look and feel from Xerox.) I remember the excitement of the launch. I was on the phones at midnight supporting Microsoft Mail. People called us just to be able to say they were standing in line to be one of the first to buy Windows 95. I didn’t attend the launch party held on the Redmond campus. Did I actually participate in the Windows 95 launch if I didn’t see it with my own eyes and I wasn’t part of the development team? What does it mean to be part of an event like that? Who gets to claim participation? How important is physically being present and documenting the event with your own eyes, vs being part of the company that created it? We can ask similar questions about cultural and world events. I remember last year when the Seattle Seahawks lost the Super Bowl on a last second interception. Was I part of that event? I watched it via the Web from my house in Pleasant Grove, Utah. Does it matter that I watched it live but remote? We are part of events when we choose to be involved either physically or emotionally. We are especially involved when we choose to both be there physically and participate emotionally. My junior high age daughters were somewhere in the group down on the floor of the BYU Marriott center. 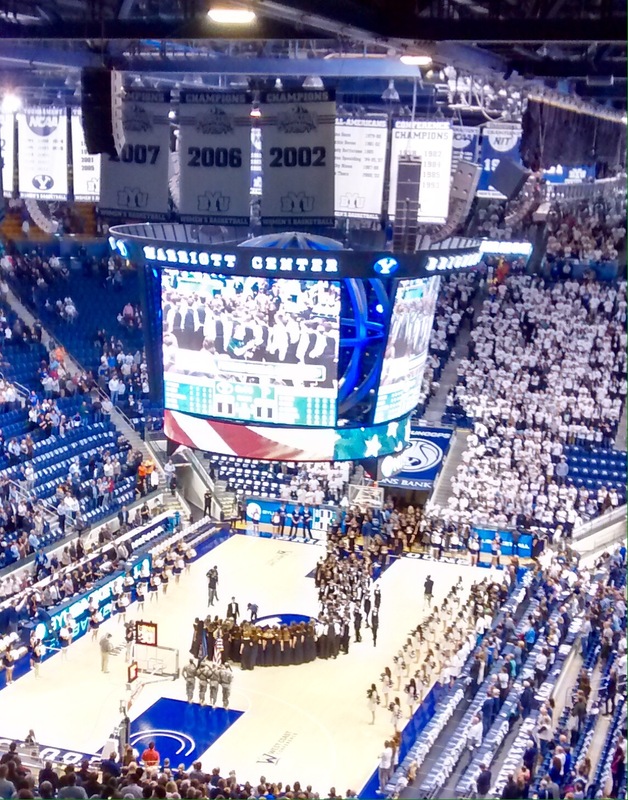 The BYU basketball game against Pepperdine was scheduled to start in just a few minutes. A hush fell over the crowd as the young men and women followed their conductor in singing our nation’s anthem. I couldn’t pick their individual voices out of the chorus. And despite the fact that they are the only two minorities in a choir made up of white students, our seats were too far away for me to pick out their faces either. And yet, it didn’t matter. I was there physically and emotionally. Just knowing that they were part of the group that was on the floor was enough to qualify me as being part of this event. I’m glad we didn’t miss the most important part of the evening. Oh yeah, there was a basketball game that night, too.